We specialized in the production and sale of Sintered AlNiCo, can be customized according to various Sintered AlNiCo, if you need to know more Sintered AlNiCo relations information, please contact us. 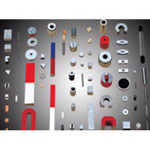 Alnico (AlNiCo) is the first developed a permanent magnet is made of aluminum, nickel, cobalt, iron and other trace metals composition of an alloy.According to different production process is divided into sintered Alnico (Sintered AlNiCo), and cast aluminum nickel and cobalt (Cast AlNiCo).Product shape of the round and square.Sintered products limited to the small size, their production out of rough tolerance is better than the rough cast product can be better workability. 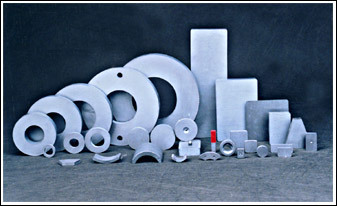 Sintered Alnico made by powder metallurgy method of production, for production of complex shape, light, thin, small products, widely used in instrumentation, communications, magnetic switches and various sensors. ��what is the Sintered AlNiCo? 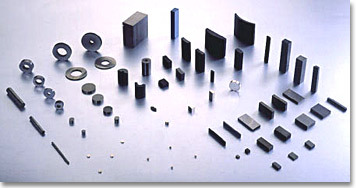 Features:Crystalline density, high strength, corrosion resistance is strong,Ingredients, magnetic properties of excellent,Good temperature stability (Br temperature coefficient is the youngest of all kinds of permanent magnet),The highest temperature reaches 500 degrees Celsius,Can produce magnets, sintering, small size, shape of complex magnets and composite magnets. Production process:Incoming Inspection-----Mixing----Powder---Pressing---Sintering----Magnetic Heating Treatment---Magnetic Testing---Shape Processing----Final Inspection-----Packing and Delivery. 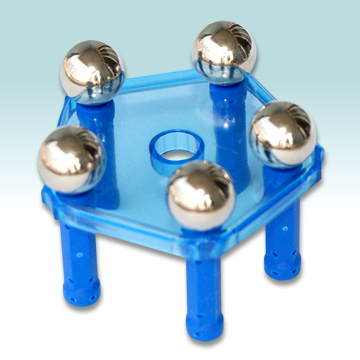 Mainly used in motor, sensors, medical instrument, manual tools, tweeters and various kinds of instrument.